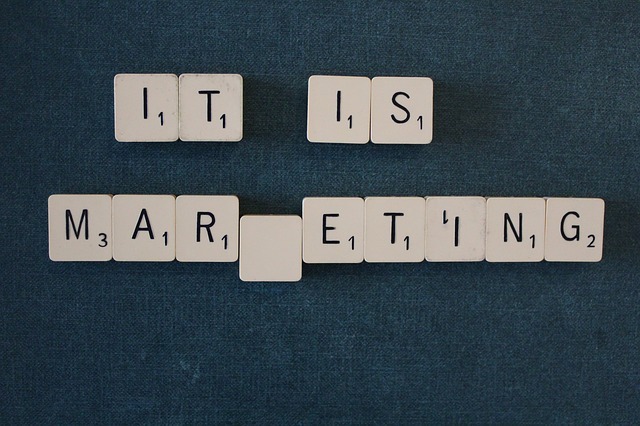 Inbound marketing is the newest buzzword in the digital marketing realm. The principle behind inbound is the idea that consumers want to take their time and make their own decision on what to buy rather than dealing with a salesperson. There is a three-level funnel, Top (TOFU), Middle (MOFU) and Bottom (BOFU) that leads work their way down before eventually expressing enough interest to be contacted by a salesperson. Each portion of the funnel has different educational content about a company or product. Leads at the top of the funnel are presented eBooks and whitepapers, after that they’ll have access to case studies and webinars and if they’re still interested they’ll flush out the bottom as a sales qualified lead. Inbound marketing principles cannot be applied without incorporating digital marketing techniques. Social media marketing, email marketing and content marketing such as blogging, are all cornerstones to a successful inbound marketing campaign. What is most needed for a successful inbound marketing campaign, though, is time and patience. It can take years to create enough content for a funnel. In some industries, it can take months for a person to work their way through the funnel. Time for a campaign to work is fundamental to inbound marketing. Unfortunately, most marketers cannot be described as patient. Most companies aren’t happy to pay a marketing agency a ton of money to be told that leads won’t be sales qualified for a few more months. To truly be successful with inbound marketing it’s vital to be willing to integrate some outbound methods as well. The following three outbound tools should also be considered for any inbound campaign. Press releases aren’t what they used to be. They’re no longer a simple pitch to the media or a disclosure requirement for publicly traded companies. Well, they are those things, but more importantly, for marketers, they a great way to build links for SEO. If you use a reputable press release service, such as PR Newswire, the release will go out to thousands of databases and be picked up by several hundred. Those links that you include in the release are now indexed and your site’s authority will start creeping up. A press release, like anything else in content marketing, isn’t magic. One press release will not lead to instant fame. Be strategic with your press release strategy like you would with your blogging strategy. Send one to two per month, hyperlink keywords that you already try to rank for and integrate them seamlessly with your social media, email and content strategies. SEO, search engine optimization, is the gold standard for inbound marketing. It’s not uncommon to have teams of SEO specialist working hard to keep up with Google algorithm changes, trying to rank certain keywords on the first page of Google search results. PPC, pay per click, on the other hand, can guarantee that you rank on the top of the first page of Google, but also can target geographically. PPC doesn’t eliminate the need for an SEO team. PPC requires a specialized group of people too, if you’re strategic about it and tie it into your campaign alongside your SEO work, PPC will drive enough leads to make the cost worth the investment. PPC is the most inbound of the three outbound strategies suggested here, after all, potential leads still have to search for it. So this might be the most important integration you can make into your inbound marketing campaign. Social media platforms were originally created for people to interact. As businesses began to understand the impact they could have on social media the platforms became free advertising sites as well. Now social media platforms are making it harder and harder for businesses to be found via free social, but it’s easier and more cost effective than ever to pay for social advertising. For a few hundred dollars a B2B company can target the exact audience, they want to reach on LinkedIn. Facebook is perfect for B2C companies to seamlessly incorporate their content into their personas’ newsfeeds, and for minimal cost compared to traditional advertising. Again, to do this right, strategy is the key. You have to incorporate it with the rest of your social media campaign as well as the rest of your inbound and outbound tools that you utilize. Inbound marketing has a bright future. While it’s still a relative newcomer to the scene it’s quickly gaining momentum. While possible to attract leads and work them through the funnel without a large budget, it’s going to take too long to be practical for most organizations without integrating some outbound marketing as well. Are You Considering a HubSpot COS Website Redesign?